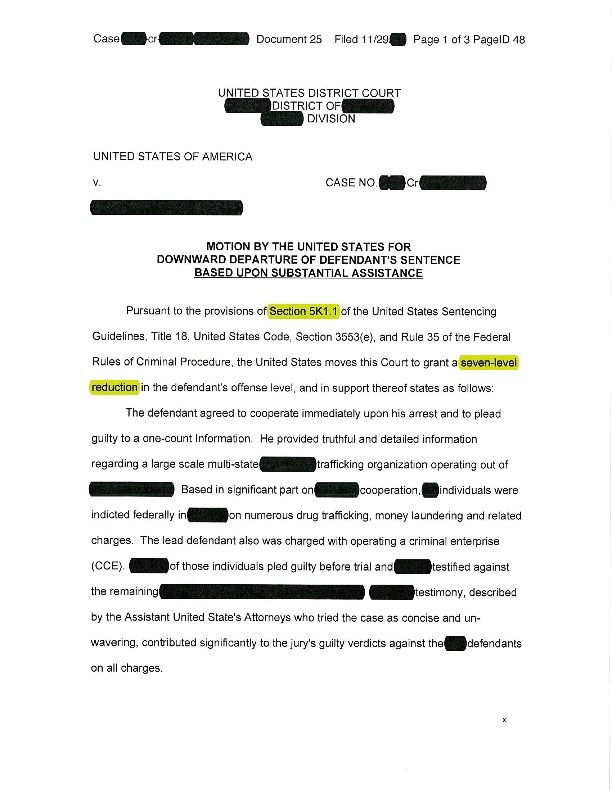 Pre-Indictment Mandatory Minimum: 10 years in federal prison. Case Result: 5k Granted & Probation. Client hired Tim Bower Rodriguez after complaint filed but before indictment returned by grand jury. After negotiations with federal prosecutor, Government agreed to file reduced charges. 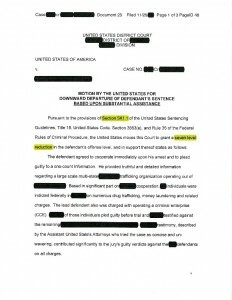 After cooperation and negotiations with government, a “5k motion” was filed prior to sentencing requesting a 7-level downward departure. The Court granted the 7 levels off and further granted our downward variance request and imposed a sentence of probation. 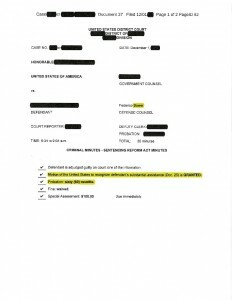 Our client’s name is withheld for his/her own protection. 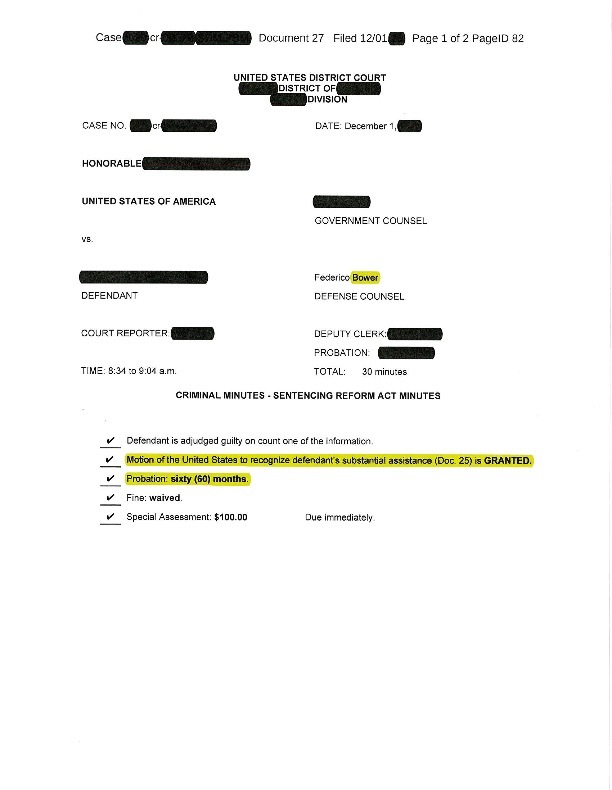 Below are the redacted court documents proving that Tim Bower Rodriguez was able to obtain a 7- level 5k reduction on his client’s behalf.